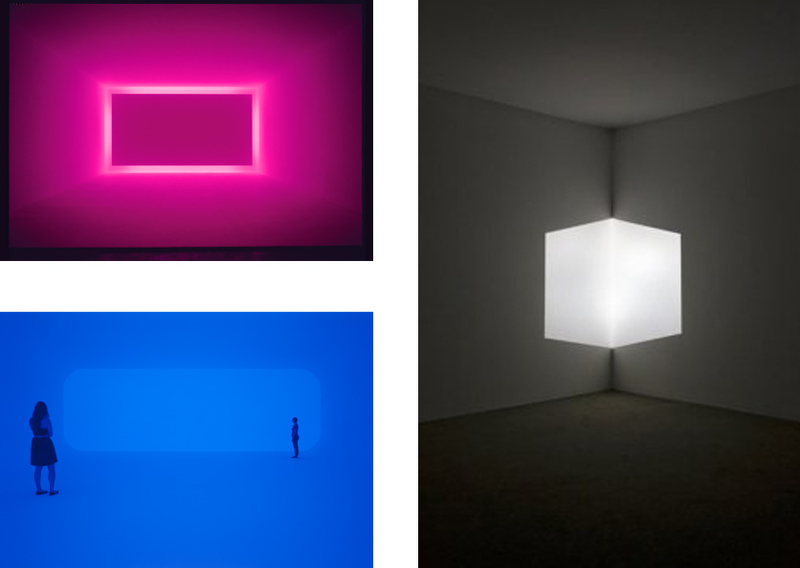 James Turrell: A Retrospective at LACMA: This exhibit explores nearly fifty years in the career of James Turrell, a key artist in the Southern California Light and Space movement of the 1960s and 70s. If you weren’t able to get to New York to see his Guggenheim Museum exhibit, this is your West Coast chance. Advance tickets are highly recommended, and if you can, book the first viewing at 11 am. We were able to be in most of the installations alone, which made the experience of viewing the fields of colored light and projections even more powerful. Maureen Gallace at Overduin and Kite: Gallace’s intimate paintings are based on photographs taken by the artist in her native New England. Gallace achieves an unsettling balance between the personal and the nondescript in her images. The settings depicted are familiar representations of tranquil New England homes and landscapes, but upon closer examination the focus shifts from subject to the physical presence of paint as a descriptive mark. 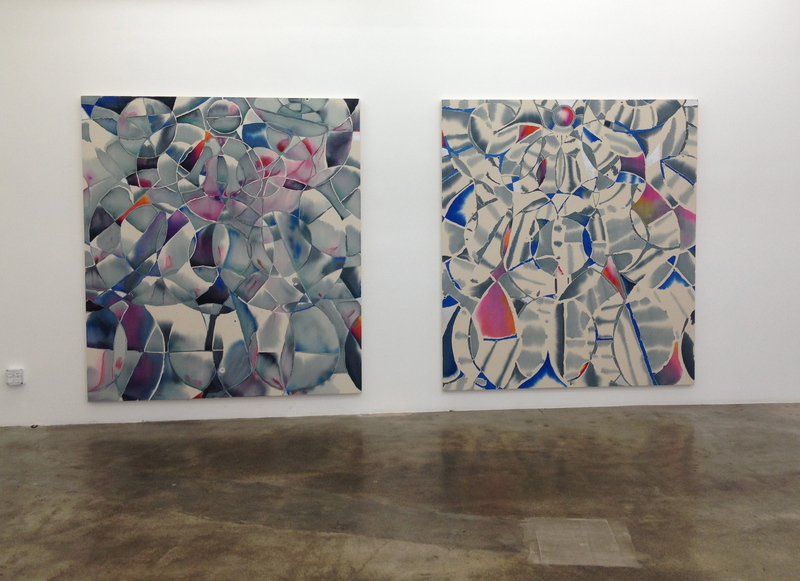 Hadley Holliday: New Paintings at Taylor de Cordoba: Holliday presents a new series of acrylic paintings that continue an exploration of a meditative visual experience. She creates psychedelic patterns of interlocking circles, which form arched, expansive spaces of depth and transparency. Within these patterns, sections of raw canvas remain exposed and function as negative space, alongside contrasting clouded or darkened areas of oil paint and metal leaf. “Silver Morning” and “Obvious Blue” both acrylic and silver leaf on canvas, 78″ x 70″. 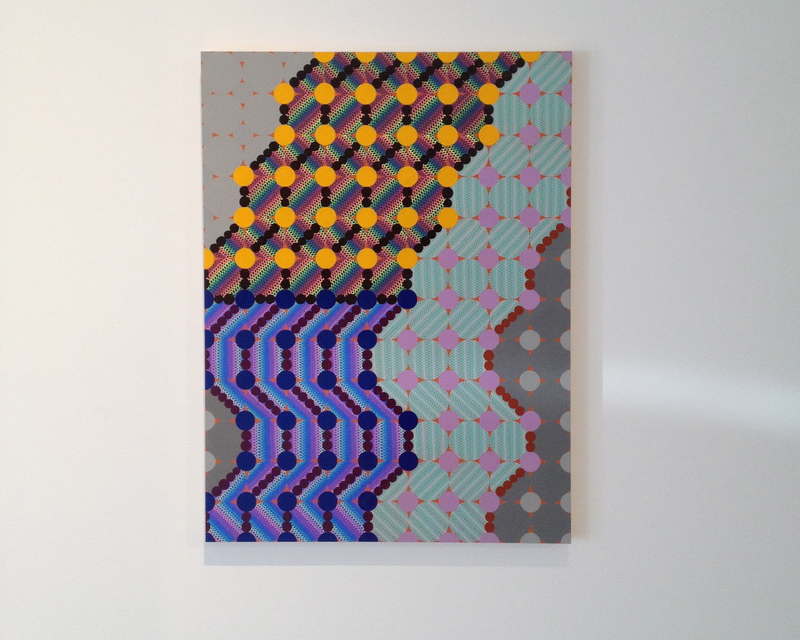 Geoffrey Todd Smith: Secret Lives of Rainbows at Luis De Jesus: In the back project space at Luis De Jesus gallery were colorful geometric paintings by Chicago artist Geoffrey Todd Smith. “Lemon Emanant” 2013, enamel, gouache, acrylic and ink on panel, 24″ x 18″. 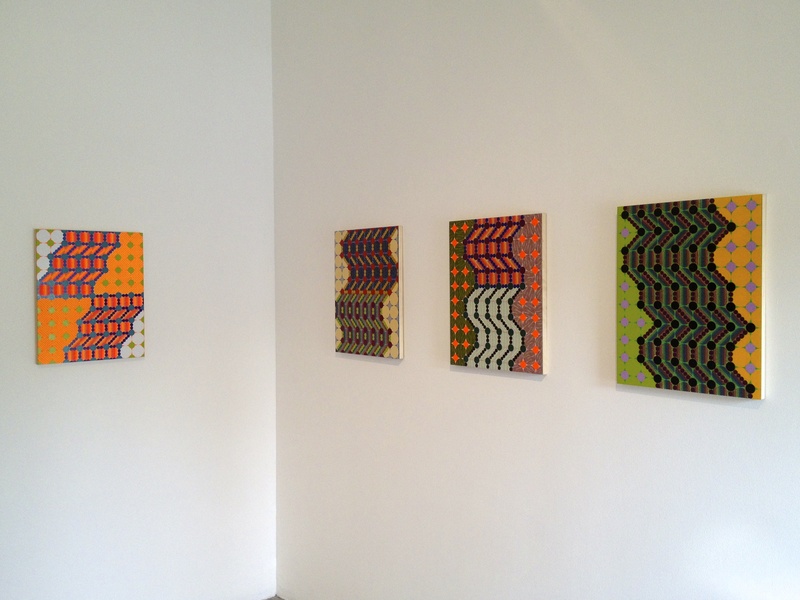 Installation view at Luis De Jesus Gallery.